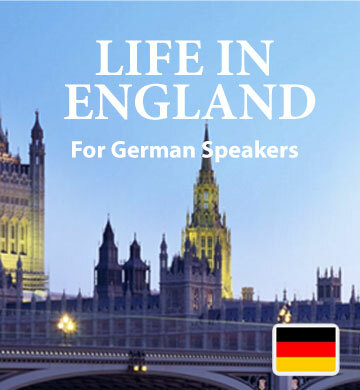 Our first book, called “Life In England”, is a fascinating collection of short stories inspired by real life incidents, designed for German speakers. When you download this ebook and the audio track that accompanies it, you’ll be able to begin learning in minutes. Each chapter will bring you new, useful vocabulary, which you’ll pick up easily as you enjoy the interesting situations along with the characters. It’s a great introduction to learning English the natural way. The mobile Easilang app, included in your download, lets you access your book on your phone or tablet, which makes it easy and convenient to learn in your spare time.